Home » Travel » Which Marriott Bonvoy Credit Card Is Best for You? The information related to the Marriott Bonvoy Brilliant™ American Express® Card and the Marriott Bonvoy Boundless™ Credit Card has been collected by CompareCards and has not been reviewed or provided by the issuer of this card prior to publication. Pairing your Marriott Bonvoy™ loyalty program membership with one of the hotel’s three branded credit cards is a great way to get an elevated experience that comes with each, such as higher points for hotel spending and redeeming them for free room nights, air travel and unique experiences. Marriott’s credit cards come with automatic Bonvoy elite status, one free room night a year and travel/purchase protections. Bonvoy members can earn points at more than 6,900 properties in 130 countries, along with three airlines — United, China Eastern and Emirates — Hertz rental cars and cruises. Redeem those points for rooms, flights, rental cars, vacation packages, gift cards and Marriott Bonvoy Moments. Having one of them will get you some sweet perks along the way. We take a look at the pros and cons of the three Marriott Bonvoy cards to help you decide which one is best for you. Rewards Earn 6X Marriott Bonvoy points on eligible purchases at participating Marriott Bonvoy hotels, 3X Marriott Bonvoy points at U.S. restaurants and on flights booked directly with airlines, and 2X on all other eligible purchases. Earn 6X points for every $1 spent at over 6,700 participating Marriott Bonvoy hotels and 2X points everywhere else. 4x points at U.S. restaurants, at U.S. gas stations, on wireless telephone services purchased directly from U.S. service providers and on U.S. purchases for shipping. 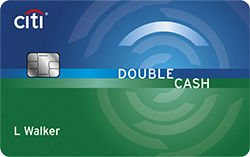 2x points on all other eligible purchases. Sign-up bonus/welcome offer Earn 75,000 Bonus Marriott Bonvoy Points after you use your new Card to make $3,000 in purchases within the first 3 months. Earn 75,000 Bonus Points after spending $3,000 on purchases in your first 3 months from account opening with the Marriott Bonvoy Boundless™ Credit Card! 75,000 bonus Marriott Bonvoy points after you use your new Card to make $3,000 in purchases within the first 3 months. For those who want or need to maintain their elite Bonvoy status, which includes plenty of perks, and don’t mind paying a $450 annual fee, this is your card of choice since it comes with automatic gold elite status. That status gives cardmembers a 25% points bonus on stays, an enhanced room upgrade, a 2 p.m. late check-out, a welcome gift of 250 or 500 points, depending on the hotel, free enhanced in-room internet access, a dedicated reservation line and exclusive member rates. There’s also a chance to earn platinum status after spending $75,000 on the card in a calendar year. Each calendar year, cardmembers receive credit for 15 nights that help you achieve the next level of Marriott Bonvoy elite status. The card allows users to Earn 75,000 Bonus Marriott Bonvoy Points after you use your new Card to make $3,000 in purchases within the first 3 months. It’s currently among the top welcome offers available among competing hotel cards. Redeem those points for a four-night stay in a deluxe king or queen room at the JW Marriott Hotel Santo Domingo, a Category 4 property in the Dominican Republic. Plus, Bonvoy members receive a fifth night free for every four nights booked. Cardmembers earn Earn 6X Marriott Bonvoy points on eligible purchases at participating Marriott Bonvoy hotels, 3X Marriott Bonvoy points at U.S. restaurants and on flights booked directly with airlines, and 2X on all other eligible purchases. Points earned in the top categories include participating Marriott Bonvoy hotels, stand-alone Marriott-branded retail outlets and Marriott-branded online stores. You also earn higher points for airlines and dining. As you earn points on the Marriott Bonvoy Brilliant™ American Express® Card, there are plenty of ways to redeem them. Transfer them at a 3:1 ratio to more than 40 global airlines (for example, 30,000 points for 10,000 miles). The card also awards 5,000 points for every 60,000 points you transfer to airline miles. Points can be redeemed for Marriott Bonvoy Moments exclusive experiences, vacations, airport lounge access, merchandise, gift cards or shared with family, friends and charities. The Marriott Bonvoy Brilliant™ American Express® Card offers up to $300 in statement credits each membership year to offset charges made at a participating Marriott Bonvoy hotel. There’s also a credit of up to a $100 to cover Global Entry or TSA Precheck enrollment fees. Receive a free award night at Categories 1 through 5 hotels after every card anniversary. The card’s Priority Pass Select membership gives you and two guests free access to more than 1,200 airport lounges worldwide. You also get free in-room premium internet access. Other card perks include roadside assistance; car rental loss and damage insurance; travel accident insurance; baggage insurance plan; premium Global Assist hotline; extended warranty; return and purchase protection; and access to ticket presales and cardmember-only events. Some cardholders may not be able to meet the $75,000 spending requirement in a calendar year to qualify for Marriott Bonvoy platinum status. While the points per dollar spent are higher for dining, you won’t earn them for restaurants at nightclubs, convenience stores, grocery stores or supermarkets. This restriction also covers restaurants located inside another establishment like a hotel, casino or event venue. If you’re a road warrior, lounge access is always nice. Priority Pass Select gets you into more than 1,200 lounges around the world, but not the lounges of the major U.S. airlines. The pass allows you to bring in two guests for free, but you’ll charged $32 for each additional guest. The card does come with some good travel insurance, but you won’t get travel accident, trip delay or cancellation insurance. This card is designed for those who are loyal to Marriott Bonvoy and want some perks in return — but who aren’t interested in the Marriott Bonvoy Brilliant™ American Express® Card and its $450 annual fee. The Marriott Bonvoy Boundless™ Credit Card has a $95 annual fee. New cardmembers Earn 75,000 Bonus Points after spending $3,000 on purchases in your first 3 months from account opening with the Marriott Bonvoy Boundless™ Credit Card! Use them to book two nights at the Category 5 Avalon Hotel Bungalows Palm Springs, at 35,000 points a night. Earn 6X points for every $1 spent at over 6,700 participating Marriott Bonvoy hotels and 2X points everywhere else. It’s not quite as generous on non-Marriott categories as the Marriott Bonvoy Brilliant™ American Express® Card, but like that card, you also receive a free night on your card anniversary that can be used at Category 1 through 5 hotels. 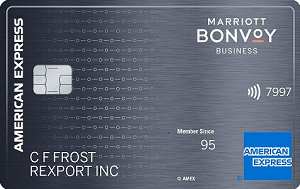 The Marriott Bonvoy Boundless™ Credit Card comes with silver elite status. The perks aren’t quite as good as gold, but you still receive a 10% bonus points on hotel stays, priority late checkout, a dedicated reservation line, free Wi-Fi and no blackout dates when booking. This card also allows members to transfer Bonvoy points to more than 40 airlines (for example, 20,000 points for around 6,500 miles) and get 5,000 points back for every 60,000 points you transfer. The card comes with baggage delay insurance, lost luggage reimbursement, trip delay reimbursement, Visa Concierge and purchase protection. If you want to earn Marriott Bonvoy gold status, you’ll need to spend $35,000 on the Marriott Bonvoy Boundless™ Credit Card within a cardmember year. If you want perks such as Priority Pass airport lounge access or your $85 TSA Precheck enrollment fee covered, you’ll have to redeem your Bonvoy points to get them. Other cards on the market offer more points for spending on non-Marriott travel, dining, gas and groceries. While this card covers baggage and trip delays plus lost luggage, it doesn’t have other protections such as roadside assistance, car rental loss and damage insurance, travel accident insurance, extended warranty and return protection. This is the business credit card to have if you’re always on the road and prefer to stay in Marriott-branded hotels. Plus, it comes with the tools you need to manage your business’s card expenses. The annual fee is $125. New cardmembers can earn 75,000 bonus Marriott Bonvoy points after you use your new Card to make $3,000 in purchases within the first 3 months. Redeem those points for a two-night stay at the Category 6 Ritz-Carlton Cancun. Note you’ll have to pay a daily resort fee of $43.10. Earn 4x points at U.S. restaurants, at U.S. gas stations, on wireless telephone services purchased directly from U.S. service providers and on U.S. purchases for shipping. 2x points on all other eligible purchases. Companies will appreciate being able to earn higher points in categories that are important for running their business. The card comes with Silver Bonvoy status, a free night at hotels at or under 35,000 Bonvoy points (Category 5 and under) and credit for 15 nights towards the next level of Bonvoy elite status each calendar year. Like the other Marriott cards, the Marriott Bonvoy Business™ American Express® Card also allows you to redeem points for hotels, flights, car rentals, vacation packages, gift cards and Marriott Bonvoy Moments experiences. You can transfer Bonvoy points at a 3:1 ratio to more than 40 airline frequent flyer programs (for example, 50,000 points for around 16,500 miles), receive a 15,000-point bonus when you transfer 60,000 points to a participating frequent flyer program and use points or a mix of points and cash to cover flights, car rentals or both. The Marriott Bonvoy Business™ American Express® Card comes with free cards for employees, and those cards earn points for purchases. It comes with tools including an account manager, access to Spend ManagerSM to upload receipts and notes either via desktop or mobile device, transfer transaction data from online statements directly into a QuickBooks account, account alerts and a yearly summary of card spending. Other travel and protection benefits include travel accident insurance, baggage insurance, Global Assist® Hotline, roadside assistance, car rental loss and damage insurance, extended warranty and purchase protection. The card also comes with free, unlimited Wi-Fi on up to four devices at 1 million hotspots worldwide with the Boingo American Express Preferred Plan. Silver Bonvoy status seems low for a business credit card. Plus, you have to spend $35,000 on the card in a calendar year in order to move up to Marriott Bonvoy Gold status. 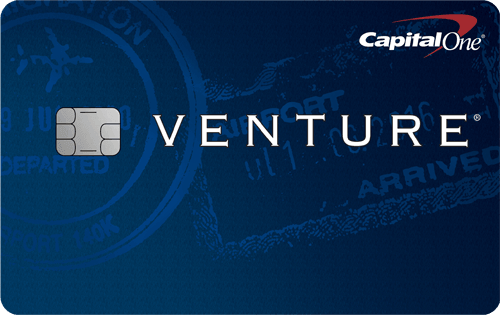 The Marriott Bonvoy Business™ American Express® Card comes with solid travel-related benefits. However, if you and your employees travel frequently having benefits such as trip interruption/trip cancellation insurance would be helpful. Marriott Bonvoy has partnered with American Express and Chase to offer its customers a good mix of credit cards for every type of customer — luxury, business and regular. In deciding which card is best, look at the annual fee, the sign-up bonus/welcome offer, points per dollar in the top spending categories and the travel and purchase benefits. Those who want a luxury card with the perks you’d expect should get the Marriott Bonvoy Brilliant™ American Express® Card. If that card’s $450 annual fee is too high or you don’t need quite as many benefits, then the Marriott Bonvoy Boundless™ Credit Card is a good choice. And if you need a card that helps you run your business, then the Marriott Bonvoy Business™ American Express® Card is a good fit.